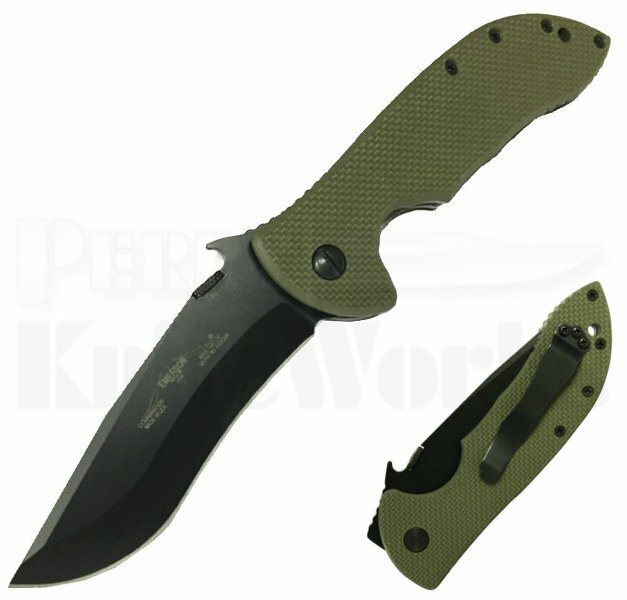 The Emerson Knives Jungle Commander is dressed in Jungle Green G10 the wicked V-ground blade is constructed from black finished 154CM stainless steel and features an ambidextrous thumb disc along with some jumping on the waved area. The no-slip grip jungle green scales are secured to titanium liners with one forming the lock. Includes a black tip-up carry pocket clip. Made in USA.